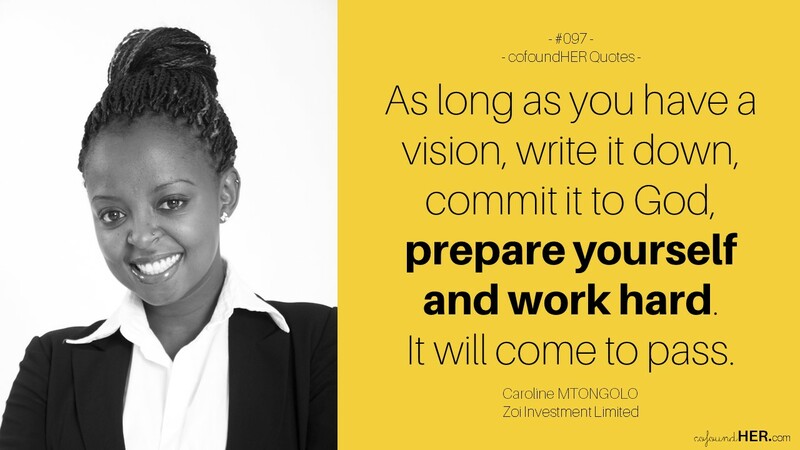 A Chemistry graduate from the University of Nairobi, Caroline Mtongolo is the co-founder of Zoi Investment Limited, a company focused on investing in the agribusiness industry in Kenya. With her cofoundher, Waithera Macharia, their aim is to make Zoi Investment a leader in the agribusiness industry in Kenya by providing profitability, quality and alternative products that will contribute towards enhancing living standards in communities. Although Zoi Investment Limited is mainly involved in mushroom farming, they farm and grow cash crops such as onions, chilies, tomatoes and water melons. They also act as a distributor of agricultural produce by buying from farmers and reselling to both local and international markets. Caroline is inspired by ‘Never having to do the same thing twice’ and she finds her balance by being deliberate, planning every move and scheduling tasks to make sure work is done on time; skills that come in handy for the Business Development Director of Zoi Investment. With all the hours she saves by working smart, she spends time exploring the culture of Nairobi, visiting new cafes, experiencing dining and attending events. Tell us more about Zoi Investment and why you decided to go into mushroom farming. Our company, Zoi Investment Limited, located in Nairobi, Kenya, deals with mushrooms production. We are currently producing oyster mushrooms and plan to start producing reishi mushrooms soon. We decided to delve into mushroom farming to address two needs that a modern person has: maintaining healthy weight and preventing lifestyle diseases such as obesity. In fast paced modern environments, it is a great challenge for people, especially women, to access healthy foods hence the upsurge in lifestyle diseases. Zoi Investment prides itself with helping address this critical issue in our generation through our mushroom farm — mushrooms are a very nutritious crop and they have medicinal value. Also, did you know that currently Kenya imports 150 tons of mushroom annually? This figure is expected to grow with the rise of the middle class in Kenya. There is a clear deficit for mushrooms not only in Kenya, but in international markets like the United Arab Emirates and Asia. Zoi Investment plans to be an instrumental part in providing mushrooms in Kenya to curb importation of mushrooms that denies the local people of Kenya access to employment opportunities. I watched my acceptance video in disbelief. It was surreal. I almost thought someone was playing a prank on me. Making it, out of 20,000 other African entrepreneurs, was a great honor and I could not stop thanking the Almighty God. I immediately called a few people who are close to my heart and shared the good news. I knew this was the first step of a victorious journey. The most difficult part for me was coming up with a budget and cost estimates for Zoi Investment. With no prior experience in business planning, I depended a lot on my co-founder, Waithera Macharia, and the internet for help. One of the major challenges for Zoi Investment has been getting capital to acquire good substrate and grow quality mushrooms at a large scale. The capital offered by the Tony Elumelu Foundation will catapult Zoi Investment’s operations and put us on the right track. What do you hope your business will achieve in the next few months? I hope to acquire the skills and expertise to kick start Zoi Investment and generate revenues, develop business and social leadership skills, proper branding and business development skills and finally to expand my networks locally and even internationally. As long as you have a vision, it will come to pass. Write it down, even though it tarries, it will surely come to pass. Commit it to God, prepare yourself and work hard, a window of opportunity will open up before you know it. 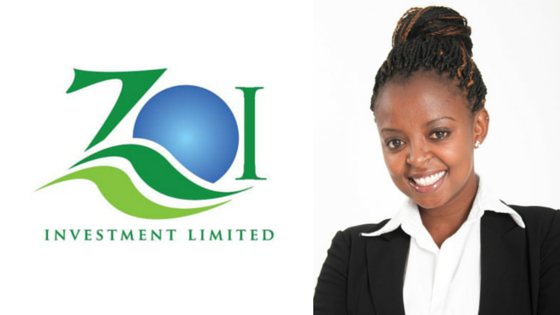 *To learn more and stay up to date, follow Zoi Investmet Limited on Twitter and Facebook; and Caroline on Twitter. Business in one sentence: We help people, especially the modern woman, maintain a healthy weight and prevent lifestyle disease such as obesity by providing them with easy access to mushrooms. Every day for the next few days, we will share the stories of 30+ African women entrepreneurs whose ideas can change the world. These women are idea and early stage entrepreneurs, with businesses less than three years old, who are beneficiaries of the Tony Elumelu Entrepreneurship Programme. We are sharing their experiences in hopes that their stories will inspire someone out there to take the leap and go after their dreams. Hope you enjoy their stories as much as we enjoyed putting them together. Follow our daily stories using the hashtag #TEEPcofoundHER or visit cofoundHER (www.cofoundher.com) for updates.